Our Factory Store is located just outside Burlington, Vermont in the city of Winooski. We offer the largest display available anywhere for our furniture. We also offer slight seconds, overruns, and prototypes at discounted prices. Because we are located at the factory we are a little hard to find, but it is worth the search! 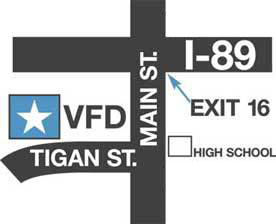 Please use the map below, your GPS with our address, or call us for help. We are open 10AM to 4PM, Monday through Saturday, or by appointment. Our address is 4 Tigan street, Winooski, VT 05404, and we are located in the Highland Industrial Park off Main Street (across from the High School).